Now you can pay your share, your family, your friends the easy way. C2C People Pay is the latest way we’re making banking as convenient and easy to use as sending a text or email. Mobile person-to-person payments are growing in popularity, thanks to the prevalence of smart phones and innovations in financial technology. With C2C People Pay, you can send money to anyone, anywhere, anytime no matter where the recipient banks. You don’t even need the recipient’s banking information, just their e-mail address or phone number. Pay the babysitter or send cash to your daughter in college. Make sure the soccer team dues are paid in time for next week’s game. Order what you want knowing splitting the check will be easy. Start using your free C2C People Pay and stop worrying about being in a tight spot or sticky situation. 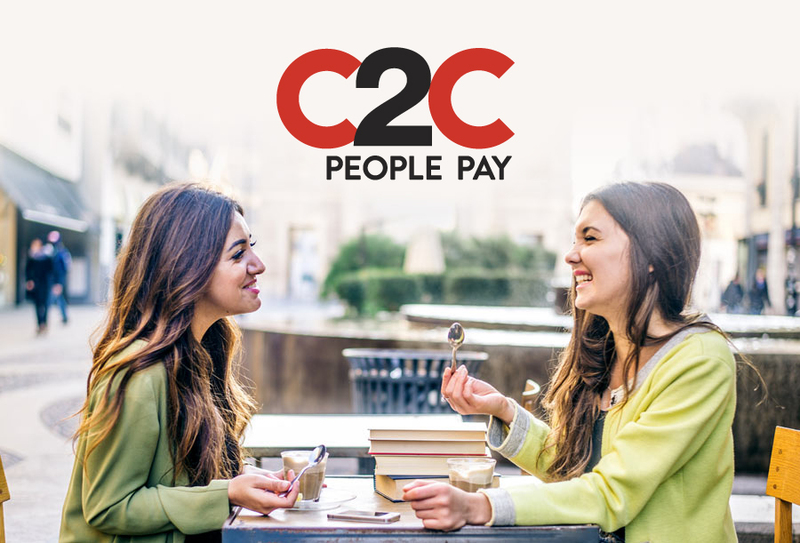 Find out how to sign up for and use C2C People Pay here.